Bobbie Brown Extra Tinted Moisturising Balm in Alabaster // Hourglass Blush in Ethereal Glow // Louise Young Foundation Brushes // Illamasua Lipstick in Cherub // Nars Pro-Prime Smudge Proof Eyeshadow Base // Nars Radiant Creamy Concealer in Chantilly // Nars Narcissist Eye Shadow Palette // NYX Butter Glosses // Benefit Gimme Brow // Tarte Lights, Cameras Lashes Mascara. 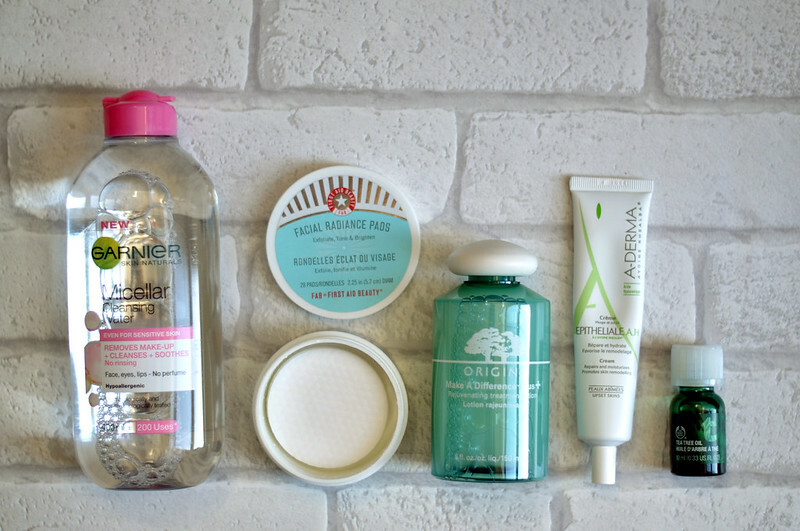 Garnier Micellar Water // First Aid Beauty Exfoliating Pads // Origins Make A Difference Plus+ Rejuvenating Treatment Lotion // A-derma Epitheliale A.H Cream // The Body Shop Tea Tree Oil. 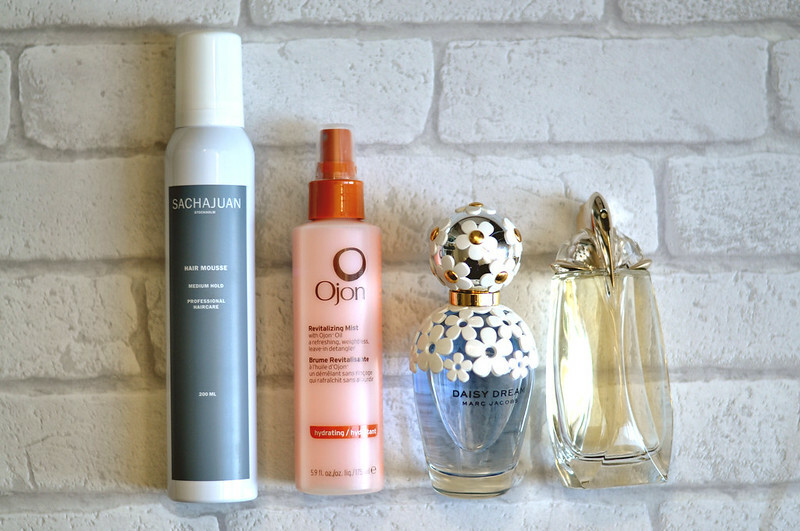 Sachuajuan Hair Mousse // Ojon Revitalising Mist // Marc Jacobs Daisy Dream // Thierry Muglar Alien Extraordinaire. 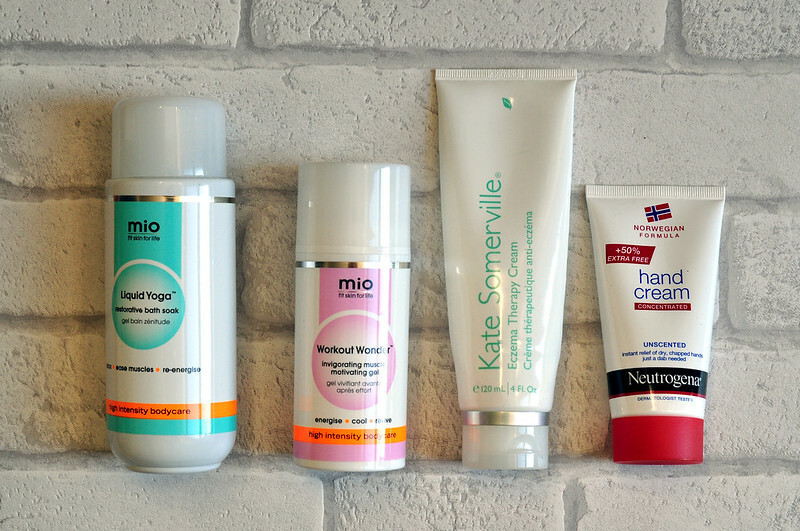 Mio Liquid Yoga // Mio Workout Wonder // Kate Somerville Eczema Treatment Cream // Neutrogena Unscented Hand Cream. 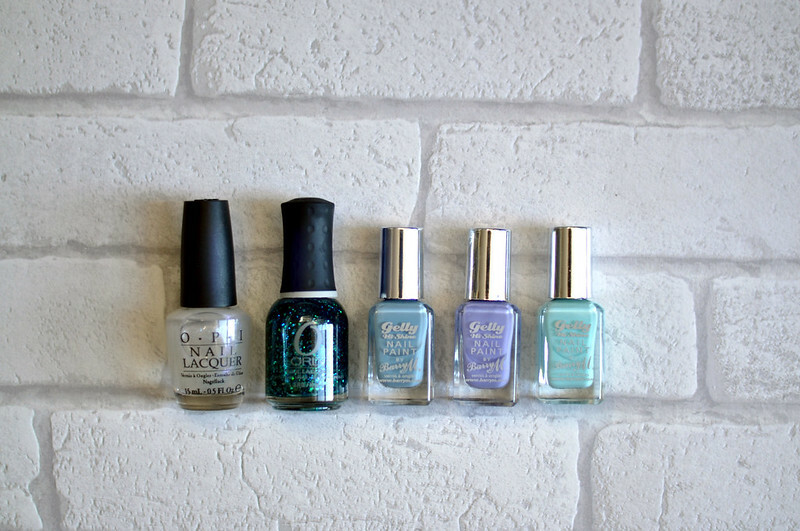 OPI I Juggle Men // Orly Go Deeper // Barry M Elderberry // Barry M Prickly Pear // Barry M Sugar Apple. Its so strange but I haven't tried any of these! Definitely a lot of catching up to do! Happy New Year Katy I hope you have a wonderful 2015! i couldn't tell whether these products were lying down or stood on a really narrow shelf in this post haha!! 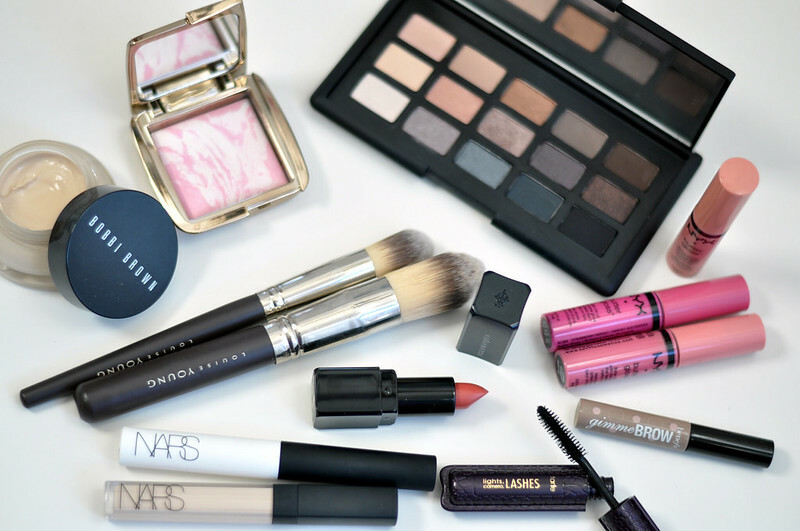 These NYX babies are sooooo great!